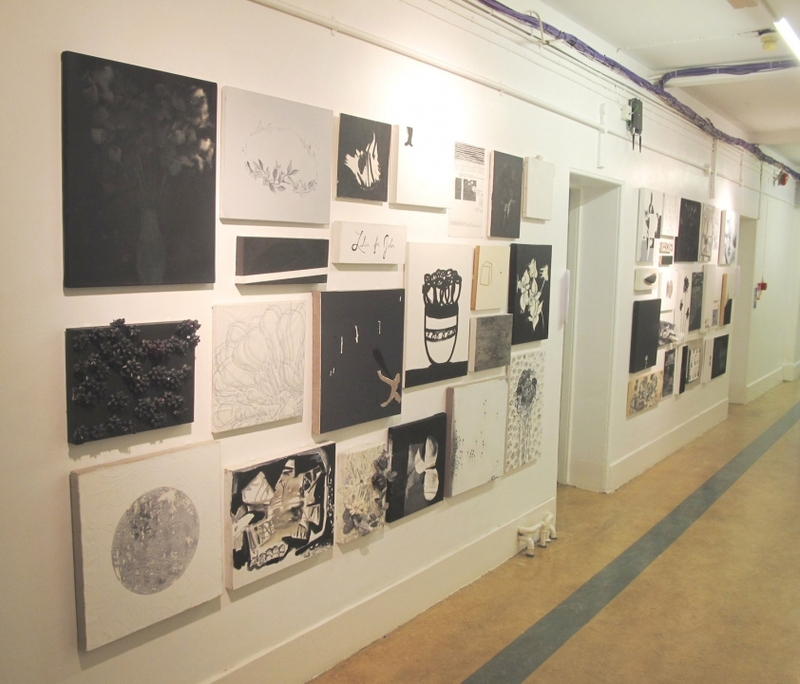 Black and White Flower Painting, 2010 is a collaborative painting project between students and staff in Graduate Painting at the Slade School of Fine Art, UCL, and is now installed in St Mary’s Hospital’s Clarence Wing. 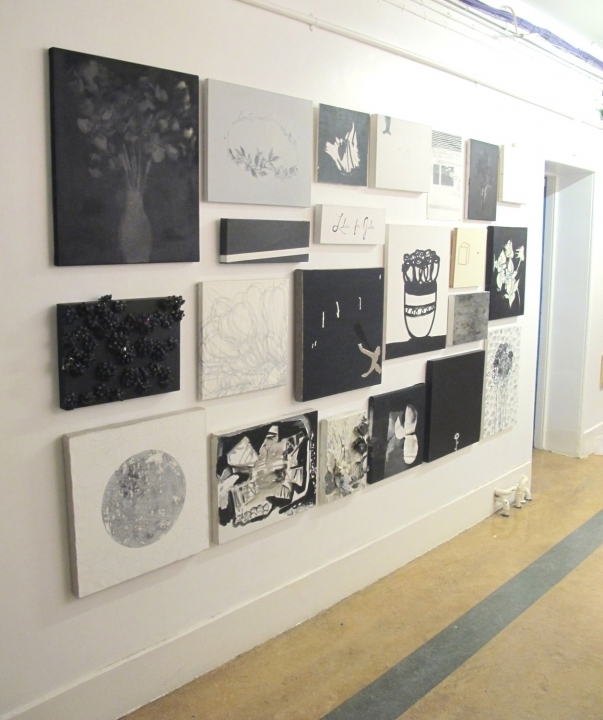 The painting has three unifying elements: flowers as a theme, black and white as formal determinants, and a given range of sizes that fit together as a rectangle on an exhibition wall. 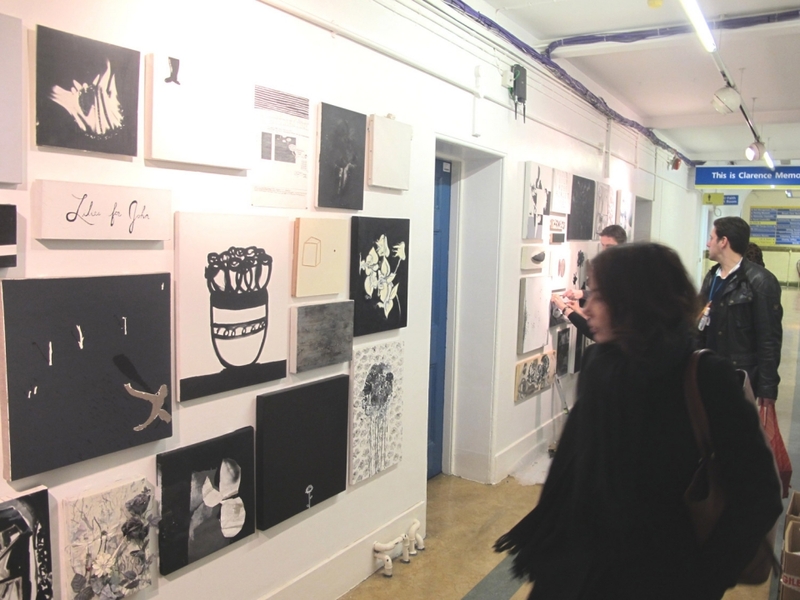 The individual contributions include oil or acrylic paint on stretched canvas, objects, photography and print. This is the third time that Black and White Flower Painting, 2010 has been installed in a trust hospital, following previous displays at Hammersmith and Charing Cross hospitals. 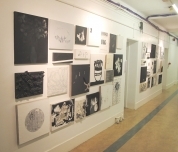 The displays have been organised by Imperial College Healthcare Charity Art Collection, part of Imperial College Healthcare Charity. The charity manages over 1600 pieces of art that are displayed at Charing Cross, Hammersmith, Queen Charlotte’s & Chelsea, St Mary’s and Western Eye hospitals.